Marshall, Tabitha. "Agnes Macphail". The Canadian Encyclopedia, 12 February 2019, Historica Canada. 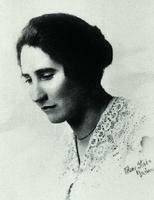 https://www.thecanadianencyclopedia.ca/en/article/agnes-macphail. Accessed 21 April 2019. Agnes Campbell Macphail, politician, reformer (born 24 March 1890 in Proton Township, Grey County, ON; died 13 February 1954 in Toronto, ON). Agnes Macphail was the first woman elected to the House of Commons (1921–40) and was one of the first two women elected to the Ontario legislature (1943–45, 1948–51). She was also the first female member of a Canadian delegation to the League of Nations, where she served on the disarmament committee. Macphail was a founding member of the Co-operative Commonwealth Federation (the forerunner of the New Democratic Party) and was an advocate for prison reform. As a member of the Ontario legislature, she championed Ontario’s first equal pay legislation (1951). Macphail was born in Grey County, ON (south of Georgian Bay), to a farming family of Scottish descent. As a girl she disliked housework, and preferred helping her father tend the livestock. Macphail longed for a life outside farming and was excited to pass her high school entrance exam at age 14. However, her parents wanted her help on the farm, and it took her two years to gain their permission for further education. In 1906, Macphail left home to attend the Owen Sound Collegiate School, followed by the Normal School for teachers in Stratford, ON (1908–10). After graduation, Macphail taught at a number of schools in Ontario and in Alberta. Macphail’s last teaching post was at Pegg’s School near Sharon, ON. While in Sharon, she became increasingly active in the Ontario agricultural co-operative movement, joining local farming organizations and the United Farmers of Ontario (UFO), a farmers’ political, educational and social organization that had formed in 1914. In 1919, the UFO won a landslide victory in the Ontario provincial election; two years later, Macphail was nominated to represent South-East Grey County in the House of Commons as a member of the Progressive Party, with which the UFO was then affiliated. 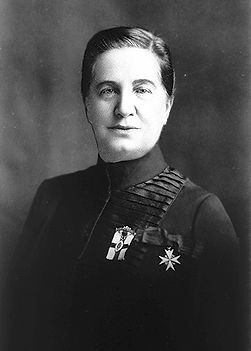 Macphail was the only woman elected to Parliament in 1921, the first federal election in which women had the vote. She served as Member of Parliament for the riding of Grey South East until defeated in the 1940 election. Macphail had allies and admirers in the House of Commons, but was also criticized by fellow MPs (and journalists) who opposed her stance on political and social issues. While she originally entered politics to represent the farmers of her region, she also championed the rights of miners, immigrants, prisoners, women, and other marginalized groups throughout her political career. Some critics suggested that Macphail’s support for these groups was influenced by communism while others implied that her judgment had been affected by her “sweet nature” and “womanly sympathy.”When she dared to criticize militarism and imperialism, she was even accused of treason. Macphail tirelessly worked for her rural constituents, denouncing the high tariffs that benefited manufacturers at the expense of farmers. However, her sympathies were not only for rural workers, as she fought for many other disadvantaged groups. Undaunted by accusations of communism, she criticized the government for providing subsidies to the British Empire Steel Corporation while ignoring the plight of miners in Nova Scotia, who suffered low wages and poor living conditions. The poor conditions and precarious circumstances of the labouring class drove Macphail and some of her colleagues to promote a co-operative movement that would protect the interests of farmers and industrial workers. In 1924, Macphail and some of her colleagues from Alberta (including Robert Gardiner) left the Progressive Party to form the Ginger Group. One of Macphail’s greatest accomplishments was her role in reforming the Canadian penal system. In 1923, prisoners at the Kingston Penitentiary rioted, prompting Macphail to investigate conditions at the prison. What she saw there shocked her, and sparked her campaign to reform the penal system. For years Macphail pushed for change, arguing that prisoners should be reformed and educated, and that corporal punishment should be reduced. Her recommendations included more outdoor time and exercise for inmates, mandatory education for illiterate inmates, the introduction of prison labour, and the appointment of qualified superintendents and doctors who had been trained in penology and psychology, respectively. Although she had several supporters, her efforts were blocked by the Conservative government in power at the time. However, when the Liberals came to power in 1935, they established the Royal Commission to Investigate the Penal System of Canada, and in 1939 the Penitentiary Bill recommended 88 changes to the penal system (although none of these were implemented until 1945). The first woman Member of Parliament, Macphail was a self-professed feminist. In addition to her vocal support for farming women and female workers more generally, she founded the Elizabeth Fry Society of Canada, which supported women in conflict with the law. A friend of suffragist Nellie McClung, Macphail also admired Thérèse Casgrain, who campaigned for the voting rights of women in Québec, and supported the Famous Five petitioners who fought for the rights of women to sit in Senate (see Persons Case). Macphail was an outspoken advocate of gender equity and strove to end legal discrimination against women, including modifying the grounds for divorce. She continued to support women’s rights when she became a member of the Ontario Legislature in 1943. In 1940, Macphail lost her seat in the House of Commons to Walter Harris, a Liberal Party candidate. For the next few years she struggled to make a living, speaking in Canada and the United States, writing for the Globe and Mail, and campaigning for the Ontario CCF. In 1943, Macphail returned to politics, winning the provincial riding of York East in Toronto, ON, as a representative of the Ontario CCF. With Rae Luckock, she was one of the first two women to become members of the Ontario Legislature. Although Macphail lost her seat in the 1945 election (like many of her CCF colleagues), she was re-elected in 1948. As an MPP she continued to support farmers, industrial workers, prison inmates, and women. Macphail’s final political success was the passage in 1951 of Ontario’s first equal pay legislation, the Female Employees Fair Remuneration Act. 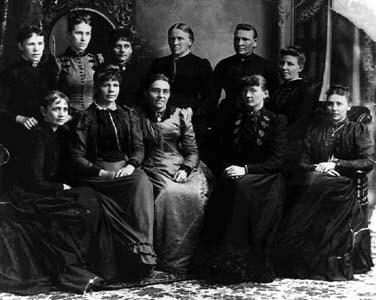 She had long lobbied for equal pay legislation, and despite the limitations of the Act (which Macphail herself criticized), it was a significant step forward in terms of legislating equality. However, shortly after this success Macphail lost her seat in the provincial election of 1951. She continued to work on projects dear to her heart, including a report on the status of women in Ontario, but struggled with ill health and limited income. Macphail died in February 1954, not long before Prime Minister Louis St-Laurent was to offer her an appointment to the Senate. Terry Crowley, Agnes Macphail and the Politics of Equality (1990); Susan Fenton Gibson, Agnes Macphail, and Judy Lowry, Agnes Macphail: Letters from the Commons (2000); Lynn Gidluck, Visionaries, Crusaders, and Firebrands: The Idealistic Canadians Who Built the NDP (2012); Doris Pennington, Agnes Macphail, Reformer: Canada’s First Female MP (1989); Margaret Stewart and Doris French, Ask No Quarter: The Story of Agnes Macphail (1959); Rachel Wyatt, Agnes Macphail: Champion of the Underdog (2000). Agnes Macphail Watch the Agnes Macphail Heritage Minute from Historica Canada. See also related online learning resources.